For years I had always wanted to visit Bruce Lee grave site and I finally got the chance to do so on rainy day july 20th 2012. It was a dream come true as martial artist I felt it was something I had to do. Much like when I had the chance to go to Japan. 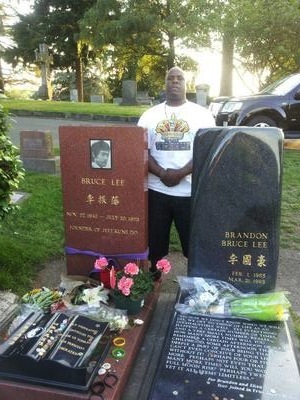 While I was there I was over come with emotions because this was someone that I looked up to growing up as a martial artist and now I'm standing at his grave it was almost like meeting him, something I never got the chance to do.